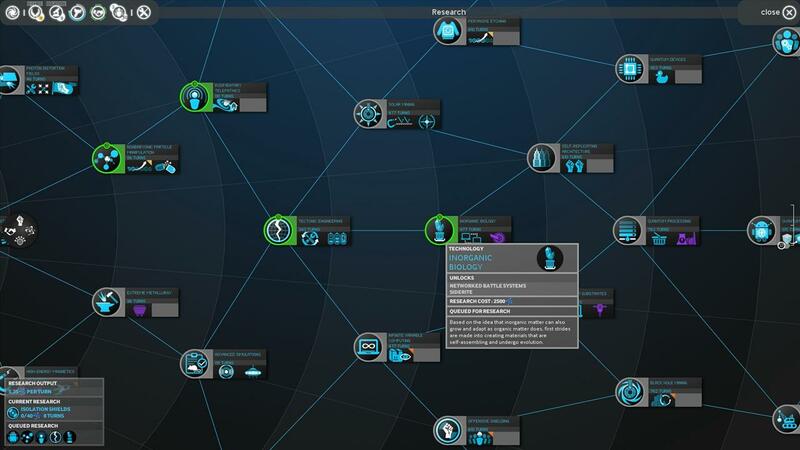 Kickstarter campaigns for games have become all the rage since Double Fine used the site to rase almost $3.4 million for a new adventure game which is why I was a bit surprised to see the folks at Amplitude Studios deciding to go a different route for their new 4X game Endless Space. Instead of going with Kickstarter they created a new program called GAMES2GETHER where those funding the game can actually help shape the game instead of just sending money over a wall. Fortunately Jeff Spock, the Narrative Director and co-founder was able to answer a few of my questions on the new program. Could you explain how you came up with the idea for GAMES2GETHER? Why not just do a Kickstarter like everyone else seems to be doing? KickStarter is an amazing concept for a single project, but we are really creating a company for the long run, and we wanted more community interaction than what is proposed in KS. That’s why we created the GAMES2GETHER concept. KickStarter has been created to maximize players’ “monetary investment”. We have always wanted to maximize interaction with the players and make it fun and interesting for them. 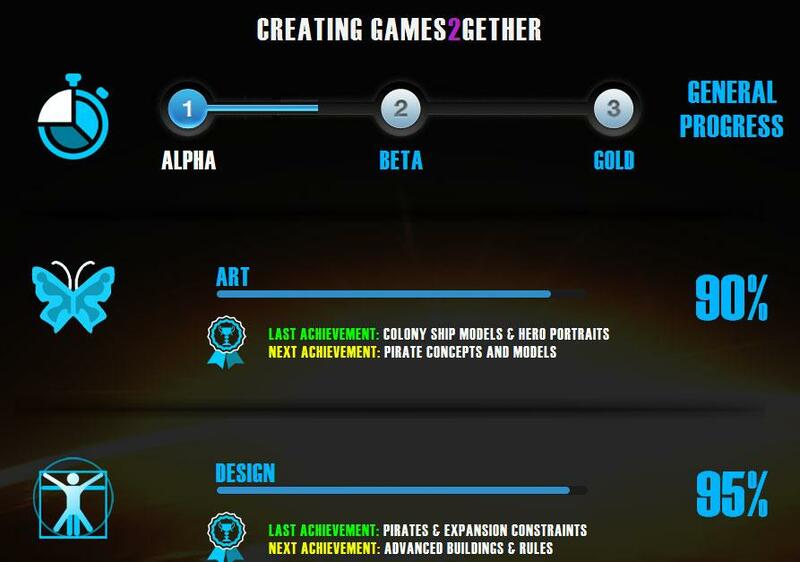 That’s why the G2G concept includes votes, open Game Design Documents & discussions plus XP, Achievements & Awards on the forums. The fascinating part is that all the help and support the community is bringing, is simply amazing. Kickstarter enforces a minimum amount of money to be raised before the project can start, do you already have the minimum you need to complete the project and are just augmenting the budget or is there a minimum you need to get the project to completion? The playable Alpha pre-order release this week is a great step for us, and its success (fingers crossed) will give us confidence on the game's potential -- which would be an amazing moral boost for the whole team. Because we’re self-financed, the risk we're taking will get lower and lower the more we see the pre-orders increase, which will give us even more momentum to make the game as good as it can be! How does GAMES2GETHER work? Are people buying points that they can then use to bid on features in the game? That’s not exactly it. Anyone can earn 100 G2G points by simply registering on our website. When you vote, you don’t use up your G2G points. On the contrary, you can be in as many votes as you want, and each of your votes will ‘weigh’ 100 G2G points. The more points you have, the more your vote counts. Soon, being active on the forums will increase your G2G points, or you can buy a pre-order pack to increase them. Today you can only use them for Endless Space, but we also plan to use them on other upcoming projects. So it’s really a way to reward community members for their involvement and creativity. 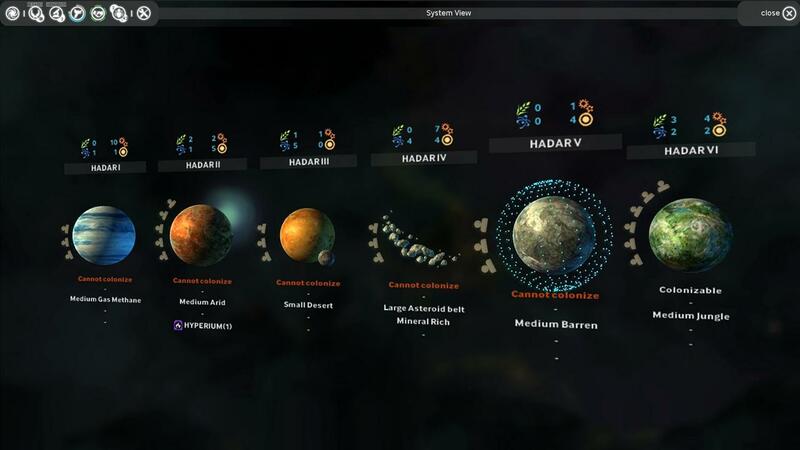 We have weekly votes on topics as diverse as features to add, which visuals are better, new faction elements, gameplay… Soon the votes will expand to cover balance issues, patch priorities etc… Basically, anything that could be important for our players or is heavily discussed in the forums can be voted on. Are you at all concerned that one or two people might take over the process and dominate the discussion? Have you put any constraints on the process so that your creative vision isn't going to be sacrificed at all? It was one of our fears at first, but we were very positively surprised. I’ll quote one of the community members “I'm very impressed with the level of maturity in the forum, the respect we treat each other with, … The community is diverse, we come from different parts the of world, have played different games, have different opinions”. One more important thing is that the team holds the general vision of the game, and we will not deviate. If we did, you could be sure that the game would never ship, and that is in no one’s interest. Moreover, sharing the Game Design Documents makes all the members aware of our vision, so everyone gives their opinion starting from the same basis which makes the whole process very constructive and we don’t lose time explaining why some ideas are unrealistic versus the actual design. So within our vision we authorize everyone to speak freely and share their views. So far the mood is great, very positive, and we don’t have to moderate much. Because of the success of the boards, as we are very involved in our discussions with our community, we recruited a community developer so we could be even more reactive. Is the feature discussion going to be mostly forum based or are you looking at other venues like live chats and Google Hangouts? We are looking into live video conference solutions and into ways of meeting community members IRL. The advantage with live video is that it would give our players that live far away from Paris a chance to interact with us and see how we work. But if video conference is great, nothing can replace sharing a beer with the community. So let’s hope that the coming months, which will be hectic dev-wise, will leave us enough time for these moments so we can all celebrate our first game’s success together … ? One of the cool things about the project is the progress bar you're showing on the webpage of the game. Why the decision to be this transparent? What happens when you have a hiccup in the schedule? Well if we have a hiccup, you guys will be the first to know. What is the point of hiding the fact that – like every project – we’ll run into some problems here and there? Most developers are loath to let early builds of the game outside the doors for any number of reasons, yet you're releasing an Alpha to folks. Are you at all worried that people may make decisions on the game based on an unfinished build or not? Well, I’m sure that a few people will not be satisfied by it. I wouldn’t be either, if I looked at it as a finished product. But as an Alpha, it is just an opportunity to get it where you want it to be, to get it to that final release. Moreover, people are more and more used to “earlier-stage” versions with concepts such as crowd-funding, alpha funding, etc… That is also why we want to be transparent with the community, so they get a better understanding of the different dev milestones and can judge an Alpha for an Alpha. We want people to play it, tell us what they would like to see improved, vote together on the priorities, and go on from there. The tricky part will be to keep everyone positive once the Alpha is live. Often players come onto forums to complain; players that like a game usually spend time playing it, rather than talking about it positively. But we’re confident that with the G2G concept, our community will mainly be giving constructive feedback! So although we provide the tools for our players to express themselves, we want to make it more than just “I yell – You fix!” We want to make it about an exchange, rewarding players for their participation and their positivism, and having great games come out of that rapprochement between players and developers. Let’s be honest, we will make mistakes regarding that early access approach, and we’ll learn from them. I just don’t want to end up like everyone else and give up on that, and keep our games’ reveal for release only. I think as long as you can give a voice to your early players and show them progress on their most important issues, you should be able to stay on the right track. We'd like to thank Jeff for taking the time to talk to us as well as Max for coordinating the interview.